A mapping mash-up that calculates the effects of the detonation of a nuclear bomb. This website hosts free online learning courses designed to help you understand new media tools and apply them to nonproliferation challenges. The courses include both interactive and hands-on activities and are arranged in manageable segments. NTI, in partnership with the James Martin Center for Nonproliferation Studies, has developed this set of educational tutorials to build understanding among a new generation of experts and leaders on these often complex issues. The interactive tutorials include overviews of key issues, a glossary, maps, quizzes and more. A multimedia visualization of the Federation of American Scientists’ Nuclear Notebook, written by Hans M. Kristensen and Robert S. Norris. The most devastating military threat arguably comes from a nuclear war started not intentionally but by accident or miscalculation. Accidental nuclear war has almost happened many times already, and with 15,000 nuclear weapons worldwide — thousands on hair-trigger alert and ready to launch at a moment’s notice — an accident is bound to occur eventually. The list of close calls above is too long for comfort, yet it’s likely very incomplete, given that these represent only America’s declassified events. Many other events may have occurred in the U.S. that we don’t know about, and we certainly don’t know about close calls the other eight nuclear countries have had. A webpage that lists open-source information and new technical tools to support nonproliferation and disarmament verification, compiled by experts at the James Martin Center for Nonproliferation Studies and the Vienna Center for Disarmament and Nonproliferation. Satellite imagery, 3-dimensional (3D) modeling, geospatial data, new media, and virtual reality applications are key strengths in this body of work. Such tools extend the ability of non-governmental organizations to identify and determine the capabilities of proliferation-related activities, to verify further reductions of nuclear weapons, track illicit transfers of technology, and break new ground in societal verification research. All of this enhances the ability of citizens worldwide to verify compliance with international arms control treaties. On June 16, 2018, the James Martin Center for Nonproliferation Studies launched Geo4Nonpro 2.0. With a mission to engage a “curated” crowd of satellite imagery analysis experts, Geo4Nonpro (G4N) is a tool for sharing open-source geographic information of known or suspected weapons of mass destruction (WMD) sites. A guide from Public Data Lab that explores the use of digital methods to study false viral news, political memes, trolling practices and their social life online. With Donald Trump and Kim Jong-un rattling their nuclear sabres, the Guardian looks back at 70 years of near-misses in the atomic age. We’ve been on brink on several occasions—most worryingly when mistakes both human and technical have been the cause. Verification and Digital Investigations Resources, Craig Silverman. Online Investigative Tools, Paul Myers. The New Age of Satellite Imagery, Anusuya Datta. Satellite imagery as a reporting tool, Christine Chan. 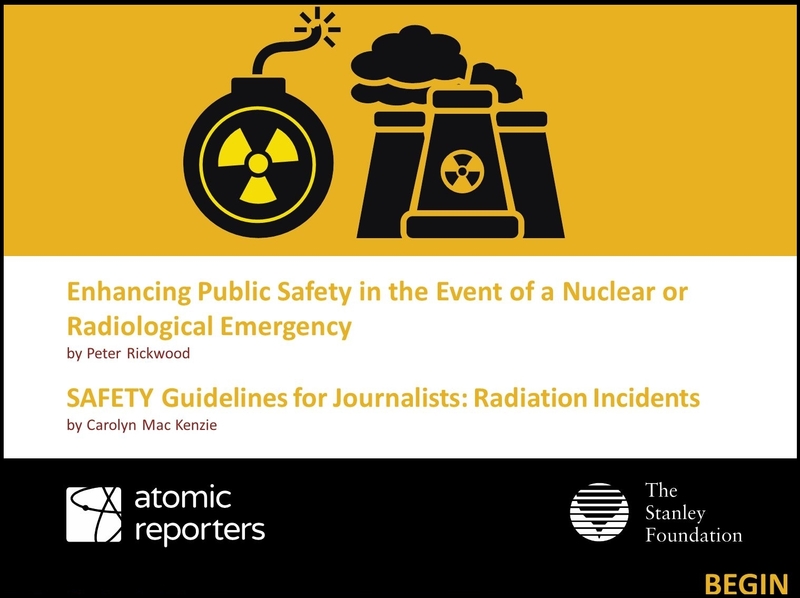 A set of guidelines put together by Carolyn Mac Kenzie, in cooperation with the Stanley Foundation and Atomic Reporters.